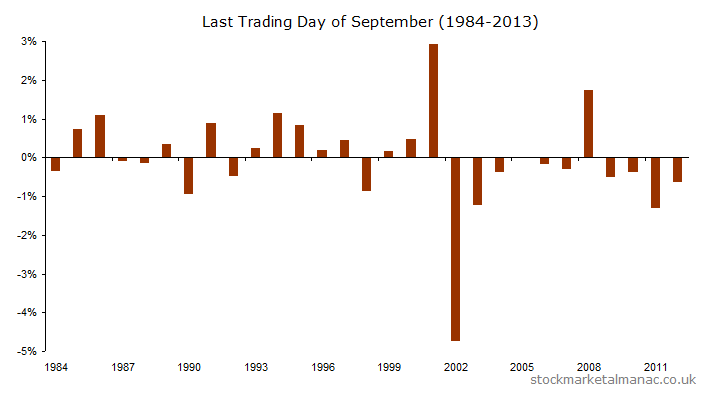 September – the worst month of the year for shares! After the summer lull, things can get exciting again for investors in September. 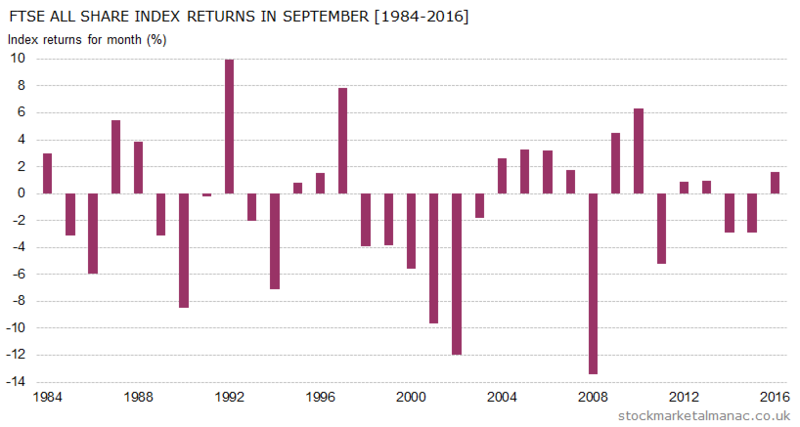 Since 1982 the FTSE All Share Index has on average fallen 1.0% in this month – the worst average return of any month in the year. 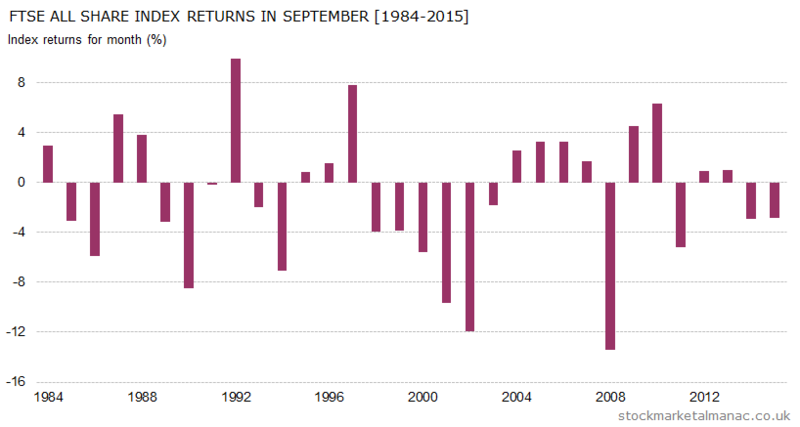 And things haven’t improved recently: since 2000 the average return in September has been even worse at -1.8%. The probability of a positive return in September is 47%, which places it just better than that for June. 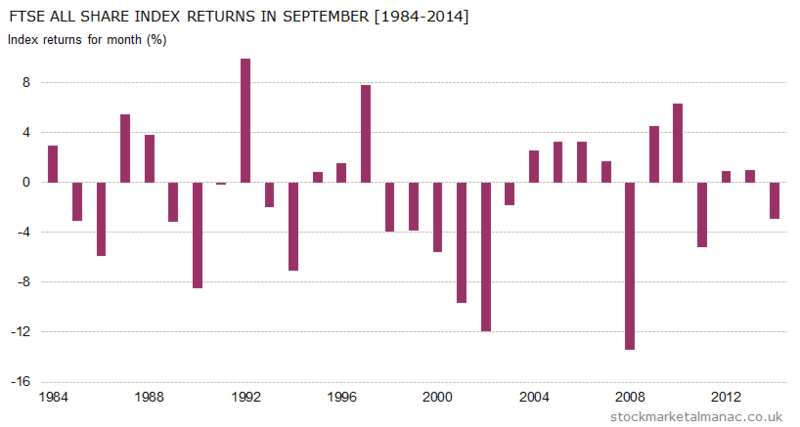 As well as poor average returns, the volatility of returns has been higher than any other month since 2000. 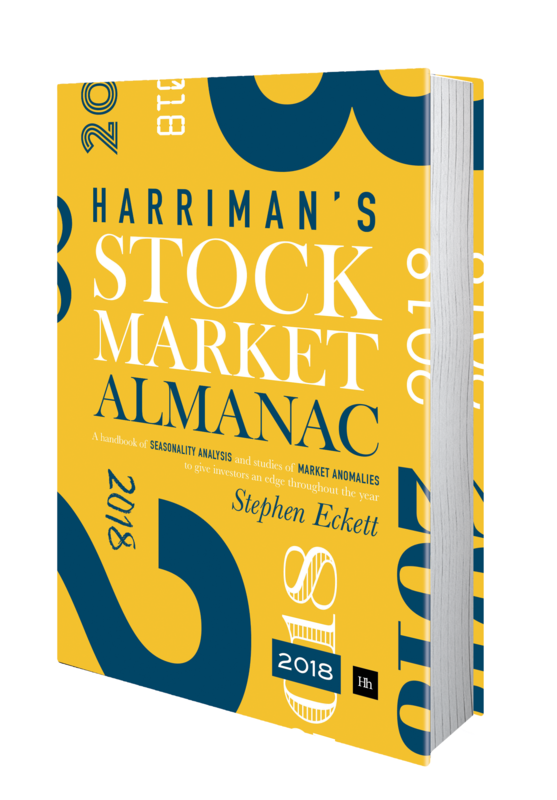 Having said that, the market has actually risen in September more times than it has fallen since 2000 – it’s just that when the market does fall it tends to be a significant decline. 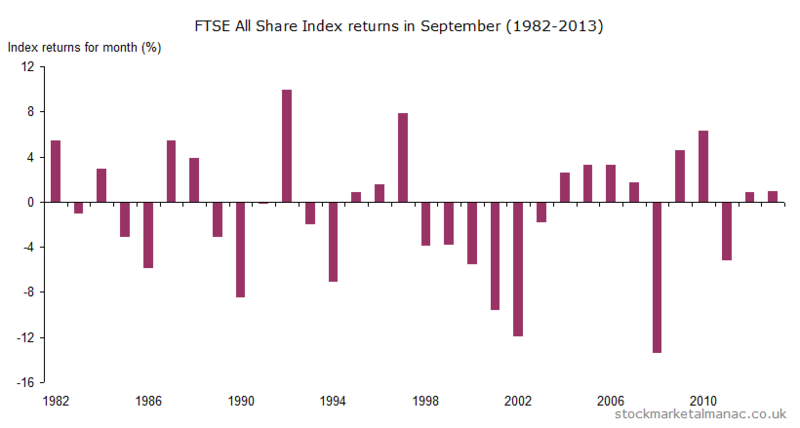 This can be seen in the accompanying chart which plots the performance returns of the FTSE All Share Index for each September since 1984. And the dismal performance in this month is not limited to the UK. 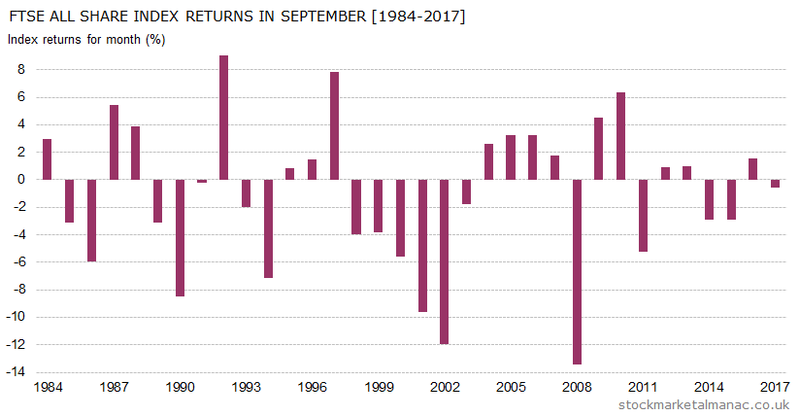 The average monthly returns across 70 world equity markets are lowest in September; the month is the worst month for equities in 25 countries, and only the strongest in one country – Venezuela. But, however bad the month is for large caps, it is even worse for mid-cap cap stocks. On average the FTSE 100 Index out-performs the FTSE 250 Index by 0.7 percentage points in September – making September, along with October, the worst months for mid-cap stocks relative to the large-caps. In the last ten years the five FTSE 350 stocks with the strongest performance in September have been: Diploma, Law Debenture, Polar Capital Technology Trust, United Utilities, and Dechra Pharmaceuticals. While the weakest stocks have been Premier Farnell, Pace, Compass Group, and SVG Capital. Dates to watch this month are: 2 Sep – FTSE 100 Index quarterly review, 4 Sep – US Nonfarm payroll report, 7 Sep – NYSE closed (Labor Day), 10 Sep – MPC interest rate announcement, 16 Sep – Two-day FOMC meeting starts, and 18 Sep – Triple Witching.